The interest on developing product and processes for winery residues is increasing and this is evident from the number of scientific publications. The yeast lees represent a by-product of winery industry with a sufficiently high content of β-glucans. β-glucans one of the major yeast cell wall components of yeast, play multiple healthy functions, between theme the reduction of blood cholesterol. 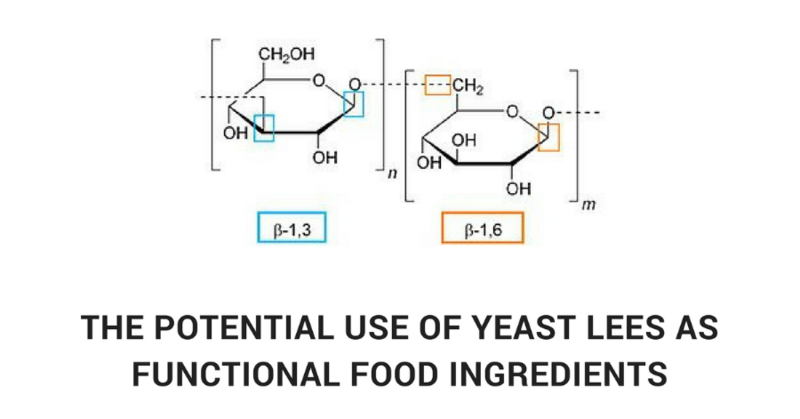 The aim of this work was to extract and to determine the β-glucans isolate from yeast lees obtained at the end alcoholic fermentation from white and red grape must. The determination of β-glucans was carried out using the enzymatic yeast β-glucans spectrophotometric assay. The results show that all the yeast lees obtained both red and white wines, contain β-glucans. However, the higher β-glucans content was found in yeast lees obtained from white wines. Keywords: β-glucans, yeast lees, winery by-product.